A breakfast casserole is a hearty and delicious way to start the day but perfect for a weekend brunch. Breakfast casseroles are an easy recipe to make and can be made ahead. Cook the filling then throw it all together and bake. 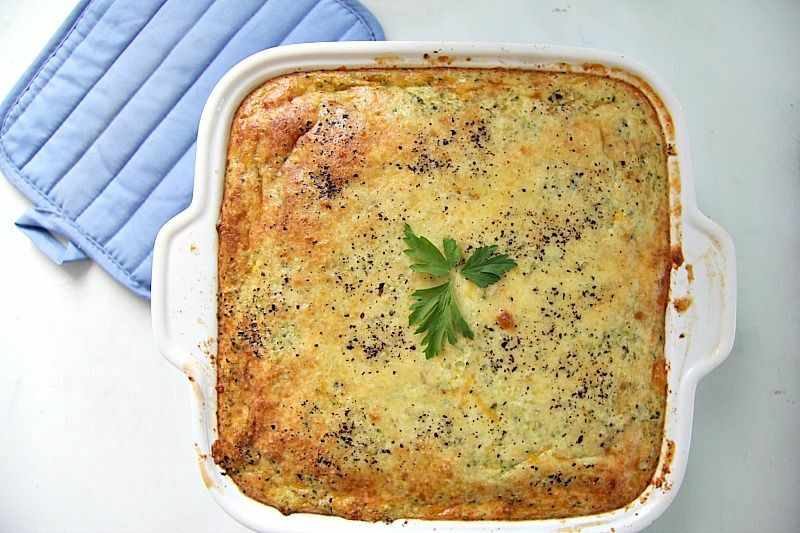 If you make this for a weekend brunch, you can have an extra nap whilst it bakes. I like to think of a breakfast casserole as a massive egg muffin cup. Although this is called a breakfast casserole it can be eaten at any time. The Chief Taster dined off this whilst I was away on a trip for a couple of days. I was surprised at how much he enjoyed this and I know he did not heat this up which testifies that it is great cold. I didn’t get any calls on how to work the oven so that’s how I know he didn’t heat up this dish! 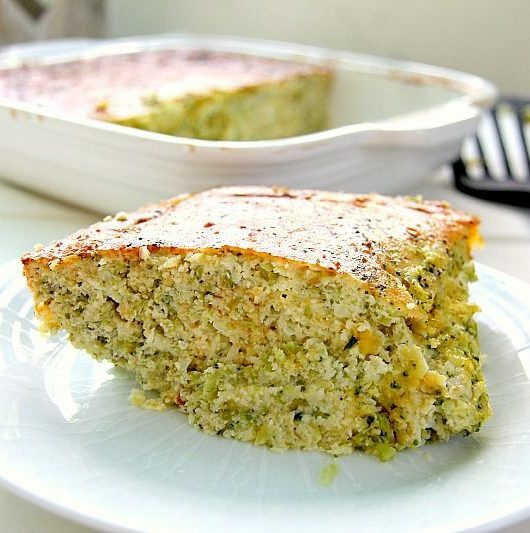 Broccoli and cauliflower rice was used for this breakfast casserole recipe because I have been playing around with the combination of these vegetable rice. 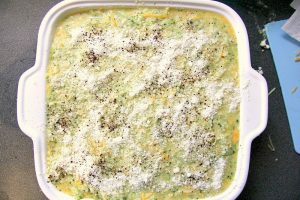 They go delicious together in my cauliflower broccoli risotto so I thought I would add them both to a breakfast casserole dish. Cheese was thrown in and voila! A hearty dish was baked. A lot of breakfast casserole recipes will have meat in them so feel free to add sausages or ham to your creation. 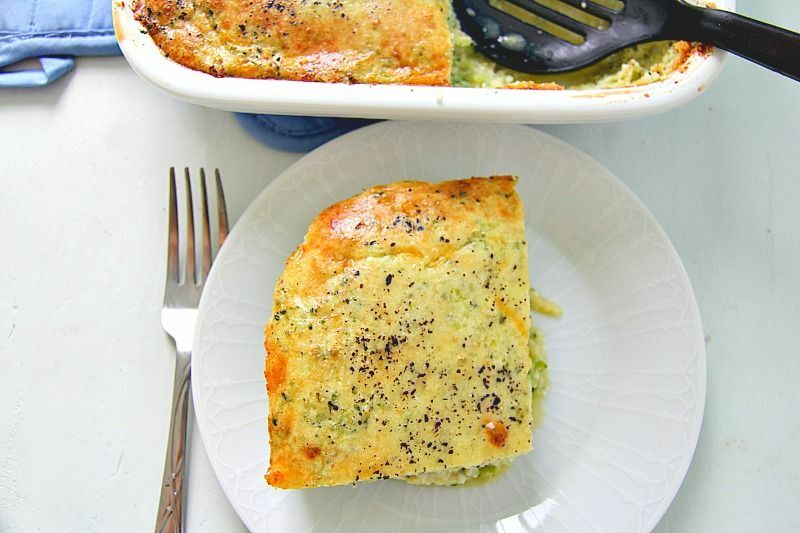 This broccoli cauliflower breakfast casserole is delicious even for meat eaters though. Perhaps have your sausage on the side and enjoy a slice of this first before you get creative. 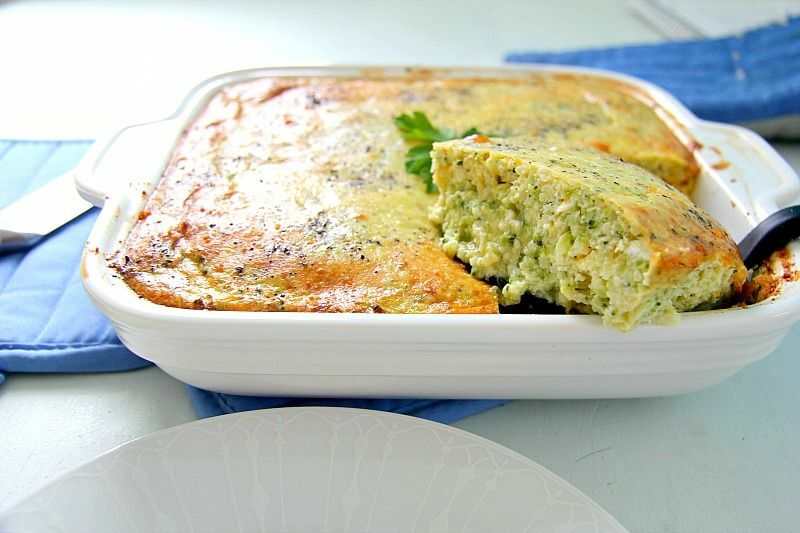 I found this breakfast casserole very filling and easy to make. It’s simply another form of frittata which is one of my loves. 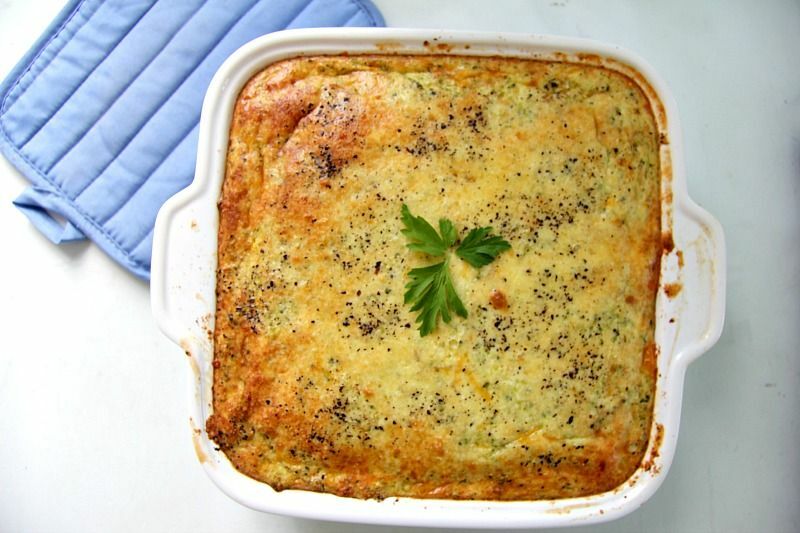 If in doubt, throw leftovers with some vegetables in a baking dish, add cheese, eggs and voila! A tasty and healthy dish! 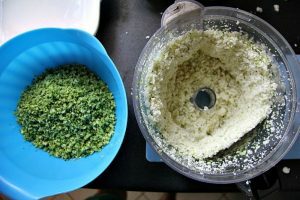 Cut the broccoli into florets and place in a food processor. Blitz until it looks like crumbs then place in a bowl. Repeat this process for the cauliflower. Gently saute the garlic for 2-3 minutes. 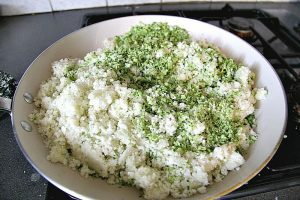 Add the spring onions, broccoli and cauliflower rice to the pan and cook for 10 minutes, stirring occasionally so it doesn’t burn. Beat the eggs with the milk and season with the onion powder, salt and pepper. Add the Cheddar and Parmesan cheese to the egg mixture and stir. Lightly butter a baking dish and place the broccoli and cauliflower rice in the dish. 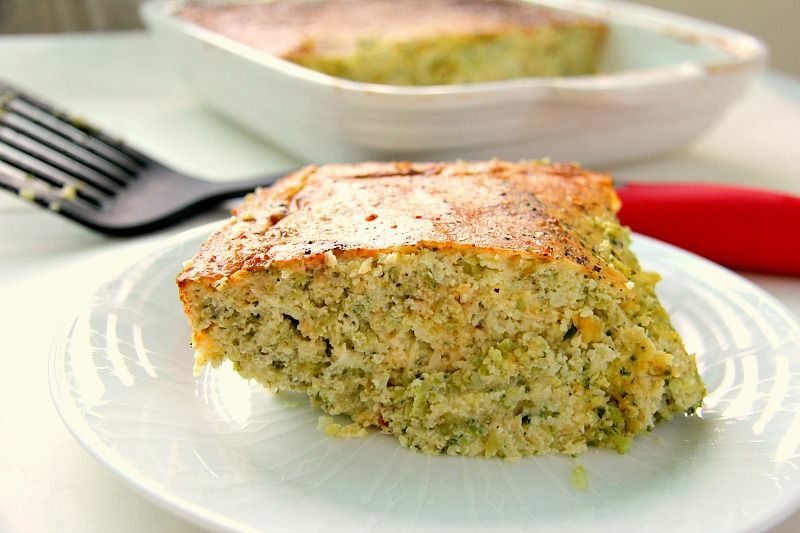 Pour the egg and cheese mixture over the broccoli cauliflower rice and mix gently and evenly. 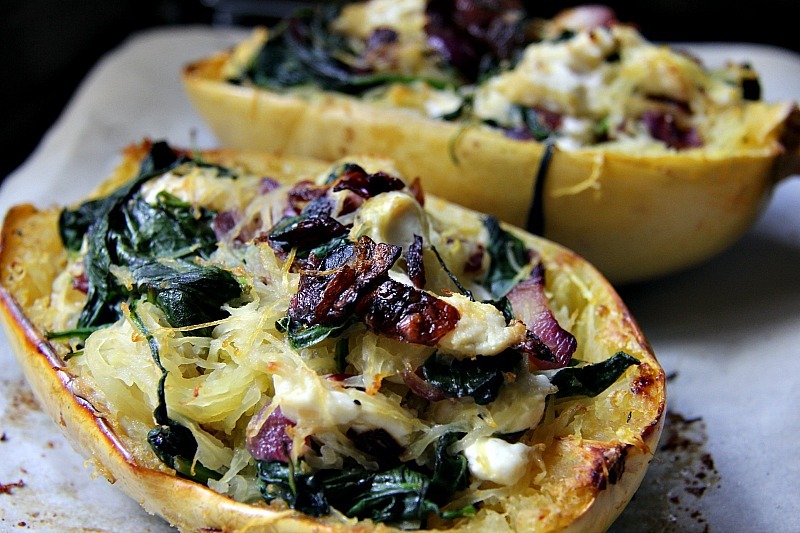 Top with grated cheese is optional. Bake for 50 minutes until golden and firm. What would it be like without the cheese? Lactose intolerant, sadly. 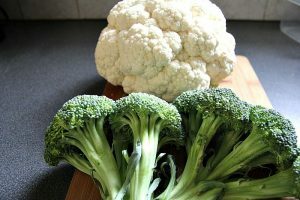 I like the idea of cauliflower and broccoli for breakfast with eggs, of course! I think it would be do-able….Just like a solid frittata really. Lovely. Making it for after workout dinner. Hi I pre rice my cauliflower and broccoli rice and freeze it so how many grams would I need? I’d happily eat that at any time of day! It certainly makes a hearty lunch! Looks lovely Angela…womdering on the size of the pan…1-1/2 quart? 8×8? Mine measures 9×9 but 8×8 would do too. Enjoy!